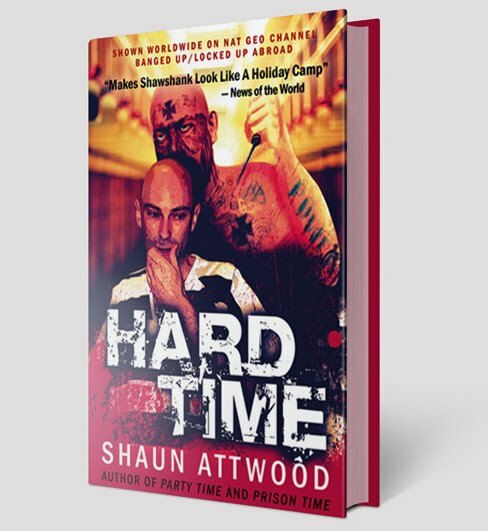 I’ve mailed several prisoners copies of Hard Time. The copy mailed to the Polish Avenger was returned to sender by the Arizona Department of Corrections with no reason cited for this violation of his human rights. Copies to Two Tonys and Shane were mailed a month ago, and neither have been received. 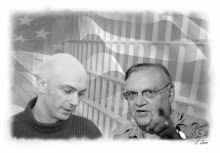 This is odd, as even Sheriff Joe Arpaio has allowed me to donate copies of Hard Time to the Maricopa County Jail library. Fellow prison blogger, Ben Gun, had no problems with the UK prison authorities when it came to receiving his copy of Hard Time. Ben has served 30 years, and his profound understanding of the nature of prison is self evident in his review. Reading books by my fellow prisoners is often a painful and depressing experience. Lacking in self insight, or wedded to a tabloid mentality, I am rarely left informed or elevated. Shaun has given me hope with this book. It is carefully crafted, avoiding the pitfalls of self glorification or perpetual outrage - when I would have been equally wedded to both! How does a home counties boy, a stockbroker, find himself in the bowels of the insane mechanical machine presided over by the "Toughest Sheriff in America", Joe Arpaio? By spreading the dubious joys of Ecstasy. I missed the rave revolution in the UK, and until Shaun arrived it seems the Americans had missed it also. Shaun went about rectifying that deficit with a vengeance. Having escaped the law and retired from the party scene, he returned to a quiet, professional existence only to have it shattered by the rude arrival of the SWAT. And so began a slow descent into Arpaio's dominion. A series of institutions built of concrete but fuelled by an officially inculcated hatred and indifference. It is noted, but not stressed, that many of the prisoners debased by Arpaio are on remand - that is, innocent. Shaun has not fallen into the trap of unleashing a big picture campaign upon us in this book. Rather, he patiently details the daily life of himself and his co-prisoners and allows us to react with the obvious judgement. It is difficult to explain imprisonment, even harder to give any outsider a genuine sense of the experience. Shaun manages to do so. From the slow, confusing and terrifying introduction that is intake processing, through daily survival and his trial. Along the way we learn about “red death” and “chomos”...and the thousand small ways in which violence can be induced, inflicted or avoided. Those new to prison will be fascinated by the social structures, the gangs, the interpersonal encounters that must be managed if survival is the aim. This is not dryly related, this time in a modern cesspit is born out of that most precious of the writer’s gifts, the ability to weave a picture out of words with such delicacy that we can close our eyes and see just what is being shown to us. This is not the Gulag Archipelago, and the better for that. Analysis of the greatest carceral complex on Earth has been avoided, as has any detailed dissection of the legal system in America. Shaun has delivered us a carefully crafted descriptive account of his time in Arpaio's jail, and leaves the reader to place it in their own moral framework. Every word, each picture painted by Shaun grabs you by the hackles and holds your face up to the horrible reality of imprisonment. And you won't be able to close your eyes, whether out of morbid fascination, disgust or a passion to know the next event. Perhaps most importantly, Shaun makes those subjected to official inhumanity - and those who have committed inhuman acts - into human beings. His ability to bring the people who surrounded him to life gives us a genuine sense of his situation in prison, and in making the prisoners into human beings rather than a reflection their situation, Shaun highlights the travesty of Arpaio's regime. This book is a joy, on so many levels, and I hope that it entertains and informs every reader as much as it did me. I’d like to thank Ben for expressing himself so eloquently. Ben’s Prison Blog is well worth a read. Amazingly, his blog readers recently saved the day when the prison tried to cut the funding for his PhD. Hard Time at Amazon UK. Hard Time at the Book Depository. That was one of the best book reviews I've ever read..That guy Ben has real talent. Can we get Hard Time in the US yet? The official US publication should be around next spring. There are a few online vendors shipping copies to the US. Try the Book Depository link at the end of the blog above. Thanks for the thoughtful and intelligent review of Shaun's book, Ben. Good luck with your PhD.